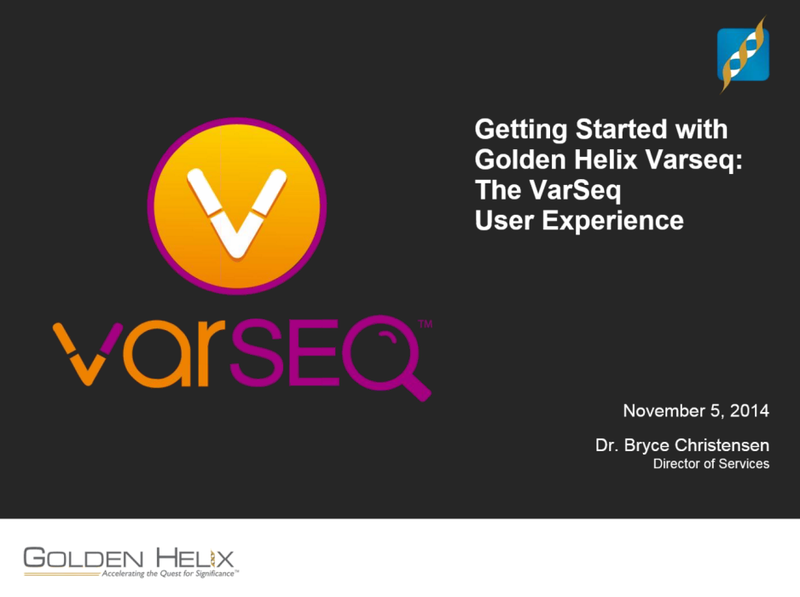 Golden Helix recently announced the forthcoming public release of VarSeq, a powerful new application for interpretation of DNA sequence variants. VarSeq is designed to make variant analysis workflows fast, simple, interactive, and repeatable. In this webcast, Dr. Bryce Christensen will present VarSeq from the analyst's perspective. Topics will include data import, annotation and filtering, creation and application of custom workflows, interactive data exploration, and customization of the VarSeq user interface. Interactive examples will be shown based on gene panels and exome sequencing.